I have many favorite female characters (let’s get real). Yet, when I think of my favorite, only one character has inspired so much admiration and aspiration from me. 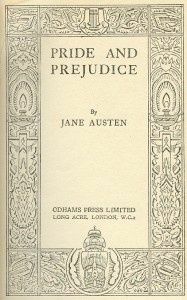 First published in 1813, “Pride and Prejudice,” Jane Austen’s witty comedy of manners – one of the most popular novels of all time – tells the story of Mr and Mrs Bennet’s five unmarried daughters after the rich and eligible Mr Bingley and his status-conscious friend, Mr Darcy, have moved into their neighbourhood. “It is a truth universally acknowledged, that a single man in possession of a good fortune must be in want of a wife.” So begins the novel, that features splendidly civilized sparring between the proud Mr. Darcy and the prejudiced Elizabeth Bennet as they play out their spirited courtship in a series of eighteenth-century drawing-room intrigues. Whatever your opinion about Jane Austen’s books (I, personally, am a huge Janeite), you’ve got to admit that Elizabeth Bennet is a total BAMF. She’s everything I aspire to be–loyal, passionate, and witty as heck. Plus, she manages to win Mr Darcy, so that’s pretty cool. More than her romance, though, Elizabeth is such a lovely, complex character. She doesn’t quite fit into the life she’s been given–she doesn’t smother her emotions, but uses them as her moral guide, even when they may contradict societal norms. She wants to be seen as a full, intelligent person, which was rather extraordinary for her time. And she has faults–so ever many faults (reference: the title), especially in a time when women weren’t supposed to be anything less than perfect. But does she let them define her? Heck no. (I pity the thing or person who ever tries to define Eliza Bennet.) She learns from her mistakes, but she also holds her ground when she knows she’s right. It’s important to know when to do which–something she discovers in the book. And though she takes some knocks and blows throughout the novel, Elizabeth knows her soul and person, and she doesn’t let any thing alter her sense of self. I think that is such an important thing. Ever since I was I young girl, I have always wanted to be like Elizabeth. I think inside my soul I might be a little like her, although outwardly I act more like Jane. I rather keep my thoughts and judgments hidden. Maybe one day I’ll let my inner Lizzy reign free. Now, excuse me while I go watch Pride & Prejudice (the Keira Knightley version obviously) for the umpteenth time.